Definitely look forward to having you as a recurring guest. It worked out really well, sorry for putting that extra pressure on you following Rammer. We had an awesome interview with Anthony Drejaj last night. We still have two parts of our Cody Ellis show to release. All three of these episodes were so much fun I wish we could release them all at once! Luckily it wasn't all live and in person and then following Rammer would've actually been intimidating. I listened last night. Rammer's segment was awesome. You guys did a great job going through the schedule and breaking it down. You did make reference at one point to something Rammer said in your call with him, though, and having not heard it yet, I wasn't aware. Can't wait to hear those two interviews. Drejaj and I overlapped for three seasons so that one in particular will be fun for me. I think you will be pleased with the Drejaj Interview. Another interview ran 2 hours plus. High quality content. Enjoyed the podcast. Rammer and Pistol were excellent! Thank you for listening. Don't forget the Cody Ellis interview comes out tomorrow. Part One. Definitely don't want to miss this there are some really great stories in this. In order to provide a genuine account of some stories in the Billiken experience we recount, we encourage our guests to be honest and be themselves in a matter that is authentic. In that spirit, some strong language was used during both parts of this podcast, and so we put the explicit label on these two episodes. Part two out next Sunday. Thanks for following guys. Awesome Interview. Really enjoying the player interviews. Any chance you could get Jordair Jett on as a guest? Listened to the Rammer episode on a 2 hour trip to go fishing. I left my house at 4:45 AM so I was a bit tired. It helped keep me awake and focused on an otherwise dark and boring car ride. Where did you go? How was the fishing? We're working on scheduling a lot of different players. To be honest booking these interviews has been a matter of convenience right now. We've had people on with whom I have at least a passing relationship. We've reached out to a few recent and a couple "older" alums who have expressed that they'd like to come on. family property outside of Mt. Carmel Illinois. The morning was slow four 1-2 pound bass one was probably closer to 3 pounds. About average size for the lake. In the afternoon I found a crappie hole and went to town. Caught one after anothe for about an hour. Plan yourself another trip and get ready for part two next Sunday! "We will have frustration next year, there is no doubt about that. We will have learning curves to get past, as every team does. But under the leadership of Travis Ford, we hopefully won't have a problem buying in to the program and the university, but most importantly the team." Rick podcast, what was the tweet about with the team having tattoos? Is that from an interview? Ima get mine on my lower back. That's cool still, right? Big news coming sometime tomorrow, and more announcements hopefully on the way eventually. I want to bump this. I'm sure there will be questions about this episode. Cody shared a couple of great Majerus stories. @Pistol has joined us to write about the recruiting side of SLU basketball. We are excited to have him join us, and his first article about new recruit Mike Lewis out now. Would be interested in hearing from more seasoned posters about stories from the past you'd like to hear about on the podcast. Obviously I know about contemporary events but I want to hear suggestions about events that happened prior to the new millennium as I may not have been fully aware that they happened or not alive at all. 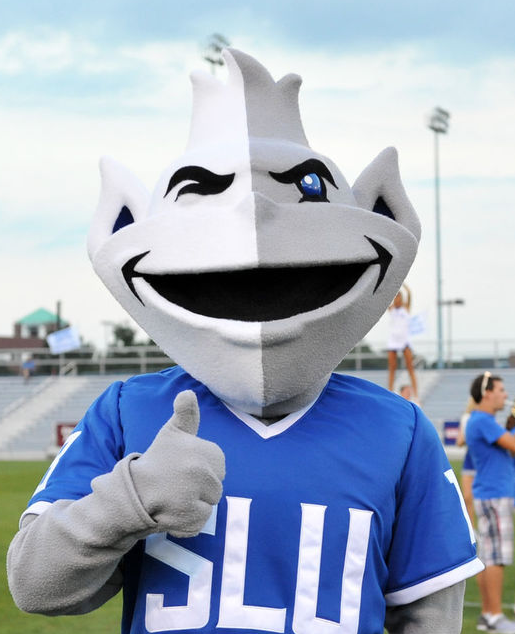 We've done strictly single person interviews spanning careers but I'm interested in doing deep dives into big moments in Billiken history with 1-3 people involved in that event. Miracle in Memphis is obviously on my list but I'd like to get your suggestions.